A gun in the wrong hands can end a life very quickly and the number of people out there with guns is increasing. In a situation like this you need to protect yourself. But how do you do so? The answer is body armor. 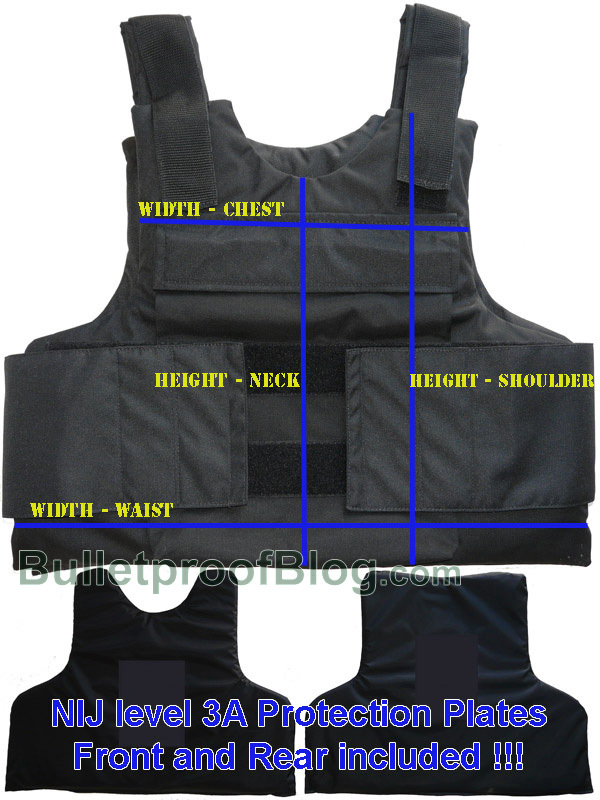 Body armor or bullet proof vests are sleeveless T-shirts that designed to slow down the impact of a bullet. It does not protect the arms or the chest but its function is to protect the key organs in the chest and abdominal regions. A bullet travels at very high velocities when it is fired from a gun. This means that the bullet has a lot of energy stored in it in the form of kinetic energy. A bulletproof vest acts by intercepting the bullet and dispersing the energy over a larger area. As the energy is dispersed the bullet becomes relatively harmless and the person is protected. A person still feels like they have been struck by a sledge hammer but it does the job. Bullet proof vests are made from several layers of manmade fabrics and each layer acts like a buffer. Some bulletproof vests also use metal plates placed in pockets to block bullets. Like many other things there are various manufacturers and types of body armor and each of them designed to stop bullets of different calibers. So in order to bring some standard to the industry the National Institute of Justice conducts tests on body armor and bullet proof vests and rates them. The higher the rating, the higher the caliber it protects from. A Rating 1 vest will protect the wearer from a .22 caliber and other small calibers while a Rating 4 vest will protect from a high caliber like .44. As these vests are designed to stop bullets they do not protect from knives. For protection like that you will need to get a higher rating bulletproof vest. A Rating 2 bullet proof vest costs anywhere between $500 to $1200 and the Rating 2 vest is what most Police departments wear on a daily basis. If you are in the security business or are in law enforcement then it is probably wise to protect yourself with a Rating 4 vest. But there are problems with this. To make the vest stronger, more layers of fabric are used and this causes the vest to get heavy. It also retains body heat causing the wearer to sweat. The bad level of comfort means that you are likely to not wear your bullet proof vest at all.